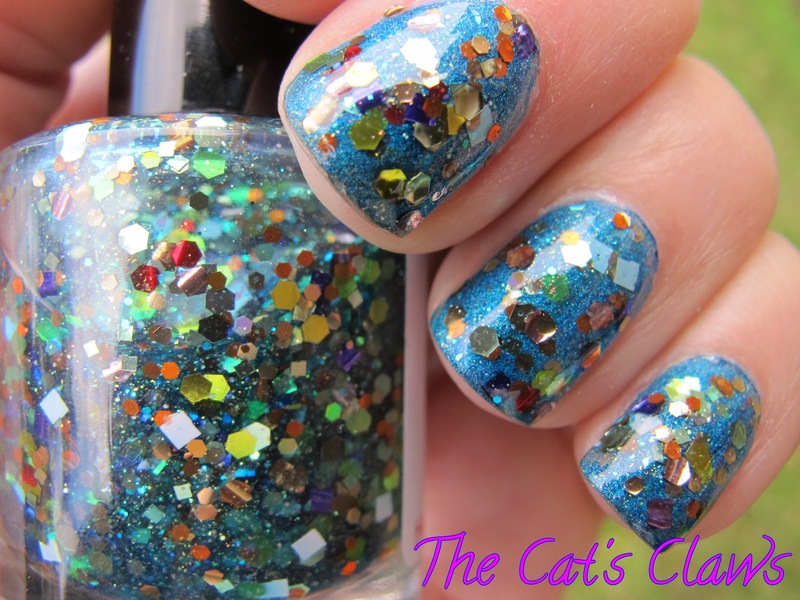 The Cat's Claws: I'm Back With Reef Fish! I'm Back With Reef Fish! Well my pink toes and blue fingers went down a storm with Mr3 and Miss2, both claiming ownership of said digits! And now I'm back missing them like crazy, so I thought what would they like? And came up with Darling Diva Polish Reef Fish, which is a multi coloured, multi shaped glitter in a turquoise base. 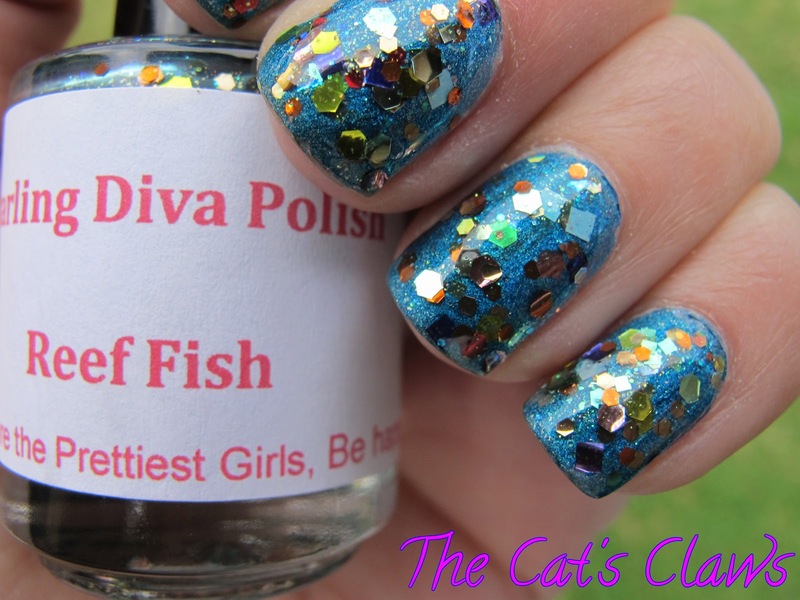 Darling Diva Polish sells on etsy for about $8 I just love her motto typed on to all the bottle labels "Happy Girls are the Prettiest Girls. Be Happy!" Which is certainly a motto to live by! So what undies to wear with it? Layla Ocean Rush seemed appropriate in name and colour, being a turquoise blue holographic polish reviewed here, so welcome to my ocean fish themed nails. This was two coats Layla Ocean Rush and two coats of Darling Diva Polish Reef Fish and two coats of Seche Vite to smooth it all out. Very bright and glittery but unfortunately no sun to show it off to it's full advantage.